Boards aren’t working. A mere 34 percent of the 772 board members of historic sites surveyed by Engaging Places in 2013 agreed that the boards on which they serve fully comprehended their museum’s strategies. Only 22 percent said their boards were completely aware of how their museums fulfilled their mission and just 16 percent claimed that the board had a strong understanding of the dynamics of the museum field. When it comes to strategy and planning, organizations emphasize the short-term at the expense of the long-term. You’re probably not surprised by these results–but you may be surprised that this actually describes major corporations based on studies conducted by McKinsey and Company, a national consulting firm. Governance is not just a challenge for nonprofits but the business world as well. prudence (applying proper care, skill, and diligence to business decisions). “Loyalty and prudence” encourages boards to focus on the long-term to help the organization thrive for years into the future. Keeping in mind the big distant goal (otherwise called a vision) clarifies choices and directs board actions. From my observations of nonprofit boards, there’s often confusion about fiduciary responsibilities and rarely a vision (but usually a mission–but so vaguely worded to be nearly useless for making decisions). To help clarify fiduciary duty, it’s a good idea to explain it during recruitment and orientation (don’t assume they’ll support it) and consider an annual commitment agreement and planning retreat for both board and executive staff. 1. Select the right people. “Having a diversity of perspectives and proven experience building relevant businesses as well as the functional knowledge is critical. But if our surveys are any indication, too many directors are generalists.” They explain that the weakness of generalists (as opposed to specialists) is that they don’t have a natural interest or passion for the mission so it can take a long time to convince them to make important decisions. As a result, the organization tends to maintain the status quo and moves forward slowly (a serious disadvantage when facing challenges that require rapid response). That’s the downside of electing the usual accountant, lawyer, and business owner to a museum board. They don’t understand preservation, collections, membership, or interpretation and thus face a steep learning curve before they can become good leaders at a museum or historic site. I’ll go a step further by noting that this is complicated by the occasional trustee who isn’t willing to learn. They hold the opinion that non-profits are dumbed-down versions of profit-seeking businesses and that anything can be fixed with a spoonful of “business sense.” Alas, by the time they’ve figured out it isn’t that easy, they’ve usually made a difficult situation even worse (and left a mess for the next board). On the other hand, I’ve also seen that a passion for the mission isn’t enough. Board members who love history and historic sites can become too enmeshed in the daily operations by deciding how to arrange the collection, how to interpret the site, or choosing the activities for a school program. They forget they are trustees, not staff, and need to focus on the big picture and take the long view. Of course, these roles often overlap in small organizations, but that calls for even more clarity on roles and responsibilities through job descriptions, training, reminders, and sometimes confrontation. Sometimes organizations are tempted to fill every seat–don’t. Always look for the right people, even if it means leaving some seats vacant, because good people want to work with good people. If you fill your board with people who continually argue, accomplish little, or make a mess of things, the people who like working together to get things done to advance the mission don’t want to waste their time with your organization. 2. Spending quality time on strategy. “Most governance experts would agree that public company directors [board members] need to put in more days on the job and devote more time to understanding and shaping strategy.” There’s a debate about much time is sufficient, but Martin and Wiseman state that the quality and depth of the conversations is more important. Boards need to go beyond finances and attendance to measure success; they need to develop and communicate non-financial metrics to make decisions such as visitor satisfaction, public perceptions, and community impact. The Kykuit Conference on the Sustainability of Historic Sites made the same recommendation back in 2007 so it’s not a new idea. Boards shouldn’t spend most of their meetings reviewing what happened in the last month but instead look forward to the next few years and prepare for possible alternatives (e.g., what if donations stay flat, what if a major donor withdraws support, what if a major matching grant is awarded?). 3. Engaging with long-term investors. The authors argue that, “boards can and should be far more active in facilitating a dialogue with major long-term shareholders.” This advice makes no sense in the nonprofit world where we don’t have shareholders however we can harvest the core idea: discuss mission, vision, major goals, and measures of success with your long-term supporters. In addition to sending out a member newsletter about a recent event or the latest acquisition, consider holding an annual gathering of long-term supporters and board members to discuss the strategic plan. Board members will need to be prepared for such conversations but it will give them the confidence to carry out their fiduciary duties better. It’ll also emphasize that building relationships with supporters requires two-way dialogues, not simply one-way communications. 4. Paying board members more. Martin and Wiseman argue that, “if we are going to ask directors to engage more deeply and more publicly, to spend a lot more time exploring and communicating long-term strategy, and take on any attendant reputational risk, then we should give them a substantial raise. There is a growing consensus that directors should sit on fewer boards and get paid substantially more than the current average annual compensation of $249,000.” After you gotten over the shock of discovering how much people are paid for “serving” on the board of a publicly-traded company, you probably think that this advice is completely irrelevant. After all, no board member of a museum or historic site is ever paid, so let’s define this differently. Cash motivates people but it isn’t the only thing. What motivates your board members? Is it special access, social prestige, a sense of accomplishment, or developing expertise–you’ll need to find out what what’s important to them and make it available if possible. For example, if they want special access to collections, perhaps at next board meeting the curator could talk about a special object in the collection or you might arrange a behind-the-scenes tour at a local museum or historic site. Or perhaps they want special access to community leaders, so then it could be a reception where board members can talk with local elected officials or business owners. In closing, the authors note that, “While the thrust of each of these broad changes is relatively simple to articulate, none is easy to make…Introducing them–and making them stick–will require deft handling by board chairs or lead directors working alongside CEOs. But in total they could bring about a deep shift in the culture, behavior, and structure the public company boards.” I agree. Boards can be the worst way to govern a nonprofit organization but they can also be the best. Museums and historical sites are preserved and interpreted in trust for the public and that happens best when they are managed by an experienced staff and governed by a loyal and prudent board. 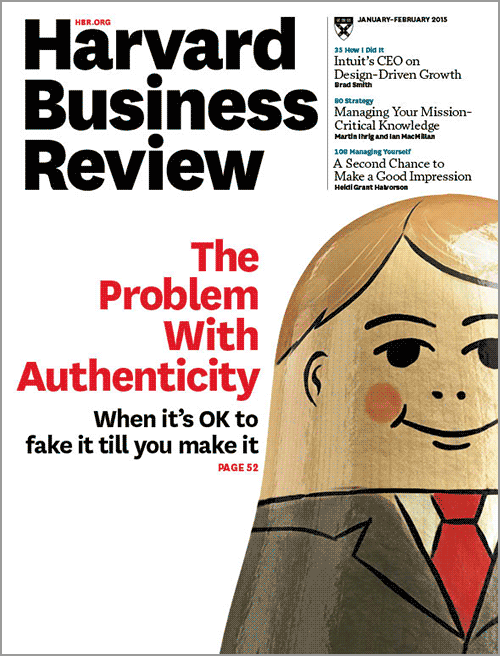 This entry was posted in Governance and management, Performance measures and tagged Boards, Dominic Martin, Harvard Business Review, Mark Wiseman on January 6, 2015 by Max van Balgooy.